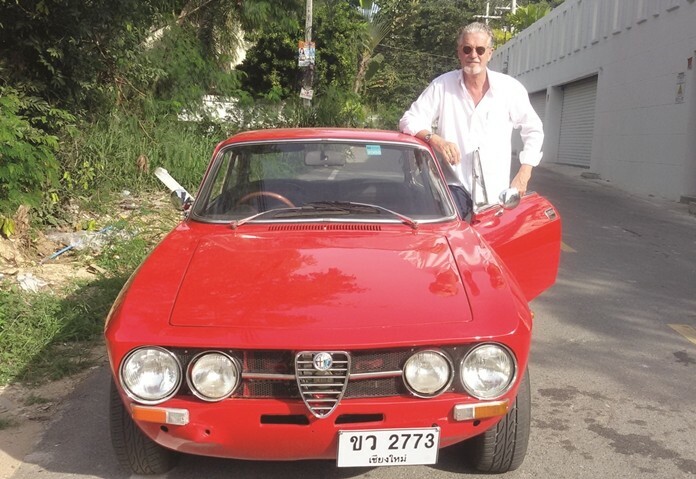 Jo Klemm, founder and president of the Classic Car Friends Pattaya, poses with his prized Alpha Romeo. 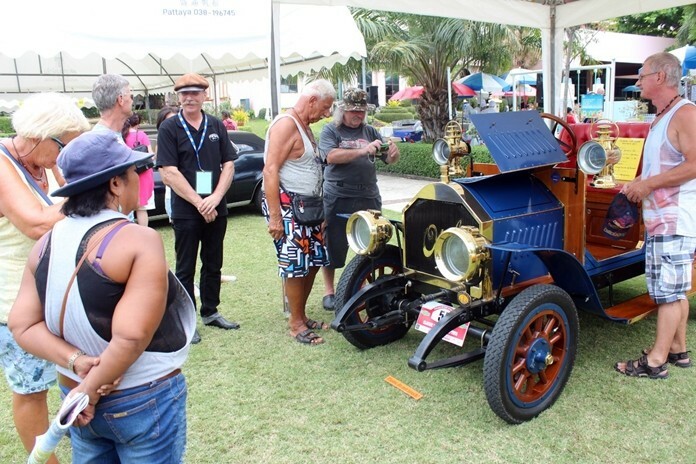 Six months of planning and organization will come to fruition on Saturday, March 2 when the Classic Car Friends Pattaya stages the 2nd Pattaya Classic Car Show at the Asia Pattaya Hotel on Pratumnak Soi 4. Jo Klemm, founder and president of the Classic Car Friends Pattaya and his associate Martin, the Club’s event manager, have enlisted the aid and co-operation of many generous and benevolent people who have given their time and resources to help support the return of this popular family event. 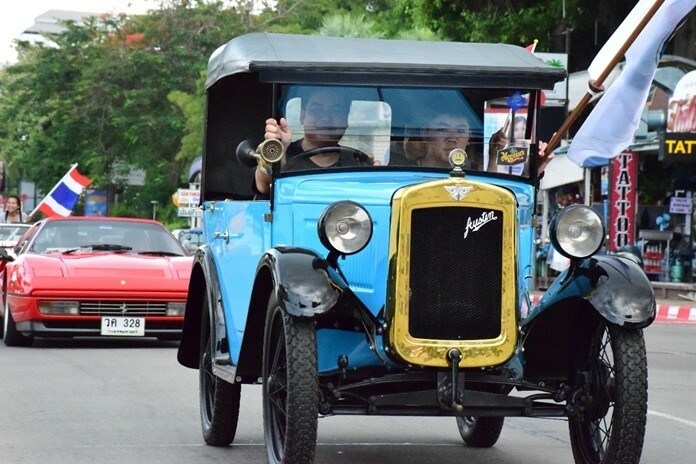 Pattaya will once more witness a parade of classic cars on Saturday, March 2. Joe and Martin’s philosophy is to use classic cars to help underprivileged children in the local community and their idea proved a huge success in 2017 when the inaugural Classic Car Show exceeded all expectations. 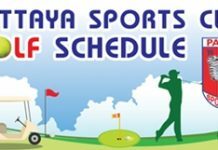 It will be the same again this year as the organizers have teamed up with Radchada Chomjinda, director of the Human Help Network Foundation Thailand, to help facilitate the disbursement of the proceeds to worthy causes. Indeed, one of the highlights of this year’s show will be a performance on stage by children from a local care center. This year’s Classic Car show starts at 12 Noon when attendees will able to get a close up view of approx. 90 pristine vehicles that represent decades of auto-development and iconic styling. The showground at the Asia Pattaya Hotel provides an ideal venue will its spacious surrounds and sweeping views over the Gulf of Thailand. At 4pm the Classic Car Parade will start from the showground and proceed into the center of Pattaya before returning back to the hotel via the Beach Road. The cars will be escorted by Pattaya Police and members of the MC Club Happy Biker Friends. A charity dinner will be served in the cliff top pavilion starting at 7pm, with delicious starters, BBQ meat & seafood, Sushi, delicious summer salads, Thai, Chinese and international cuisine and a creative variety of deserts. Tickets for the event are still available for 1,000 THB including the BBQ-buffet, free-flow of beer & soft drinks, live show performances by Paul Jackson’s Blues Brothers Band (the best in Thailand) and the Children of the Drop In Center Pattaya. Thai TV superstar Mario Maurer will also be on hand to support the charity auction. Vintage cars always attract a hoard of admirers. All proceeds from the ticket sales, auction and the charity dinner will be donated to benefit underprivileged children in the local community. For more information visit the Classic Car Show website: www.classic-car-friends-pattaya.com or Facebook/classic-car-friends-pattaya.com, Tel: (Jo) 092 753 9309 or (Martin) 085 299 6188 or for tickets call the Pattaya Mail newspaper during office hours at 038-411-240-1.